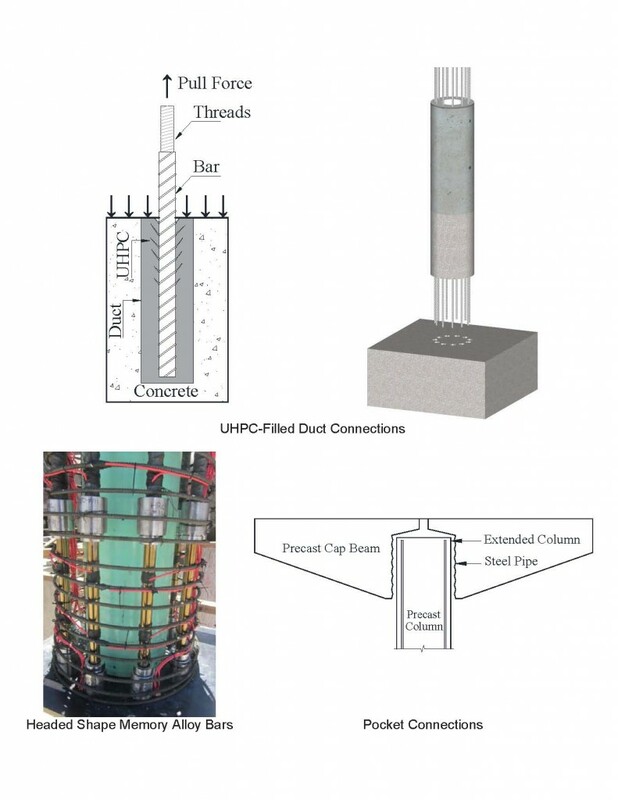 In this graduate student seminar Mostafa Tazarv, Ph.D., presents research on advanced materials and new detailing for ABC column connections, and Ali Mehrsoroush, Ph.D., presents research on earthquake-resistant precast pin and moment bridge column connections. Both research projects were conducted at the University of Nevada at Reno. Description: New materials are emerging to overcome the shortcoming of conventional steel (e.g. large residual strains and corrosion) and concrete (e.g. a lack of tensile strain capacity). 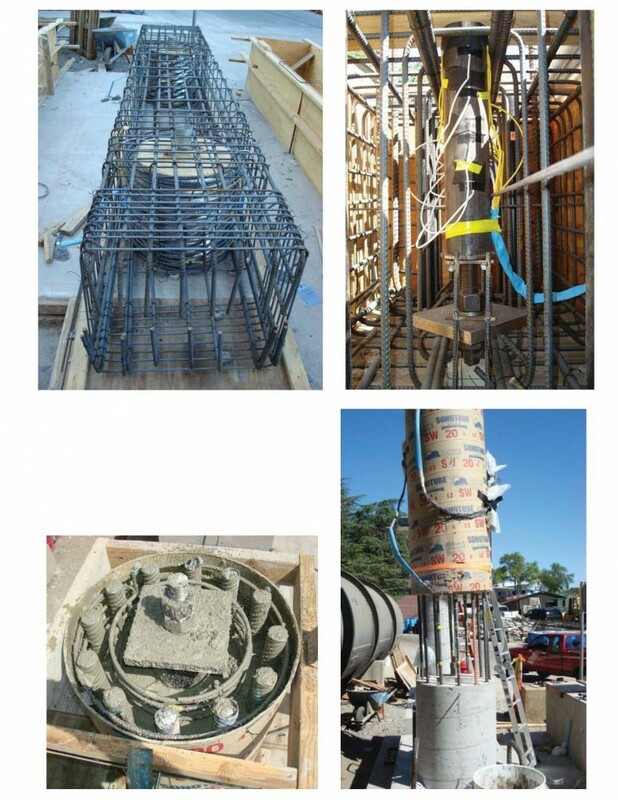 Advanced materials such as engineered cementitious composite, shape memory alloy, and ultra-high performance concrete can be incorporated in precast column connections to expedite construction and to enhance the seismic performance of columns and their connections. Furthermore, recent studies have shown that mechanically spliced connections and pocket connections are viable precast column connection types in high seismic regions. This presentation will discuss the highlight of studies funded by the California Department of Transportation (Caltrans) and ABC-UTC on three precast column connection types suitable for high seismic regions: low-damage precast columns, mechanically spliced columns, and columns with pocket connections. Three reports each including a proposed AASHTO design guideline were published to facilitate the field application of these connection types. Description: Prefabrication of structural elements is the integral part of accelerated bridge construction (ABC). Providing constructible beam-column and column-foundation connections that can tolerate inelastic cyclic deformations is the primary challenge for ABC in seismic regions. To fulfill this need, in work funded by the California Department of Transportation (Caltrans) and the ABC-UTC two types of joints incorporated in a two-column pier model were developed to be used in ABC: (1) pipe pins to simulate hinge supports at the column-footing connections and (2) pocket details to make moment connections between the columns and pier caps. The pipe pin consists of two steel pipes to transfer the shear and one threaded rod to transfer the uplift forces. Pocket connection is formed by extending the column into a pre-fabricated pocket in a precast cap beam and grouting the space between the column segment and the pocket. The primary objectives of this research were to investigate (1) the performance of the proposed connections, and (2) the cyclic behavior of a two-column bent utilizing column-footing pipe pins at base and pocket connections at top joints. Comprehensive experimental studies of the connections and their components, including cyclic load studies of a large-scale two-column bent model, were conducted. The proposed pipe pin detail was found to be successful even under high drift ratios. Column cap beam connections also performed well when conventional reinforced concrete was used. Based on the results of the experimental and analytical studies, a design guideline was developed for the base pipe pin connections.